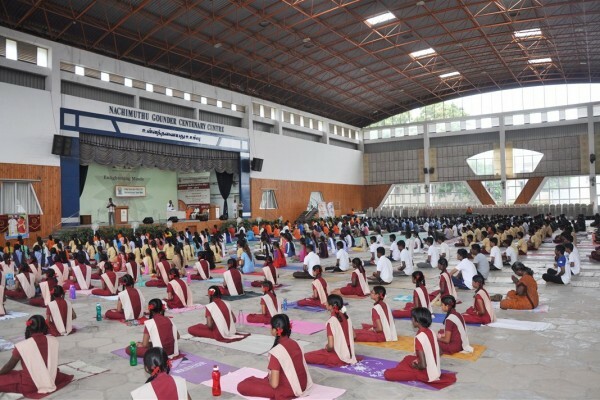 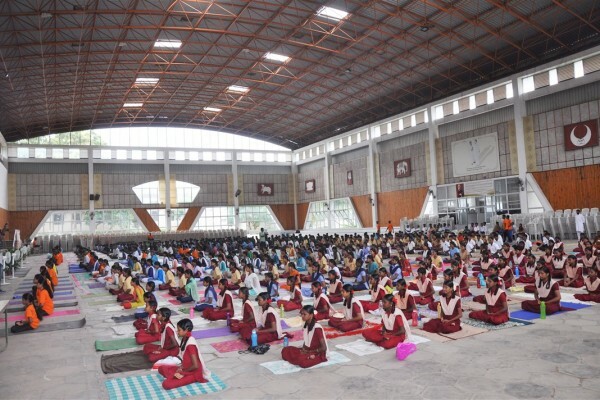 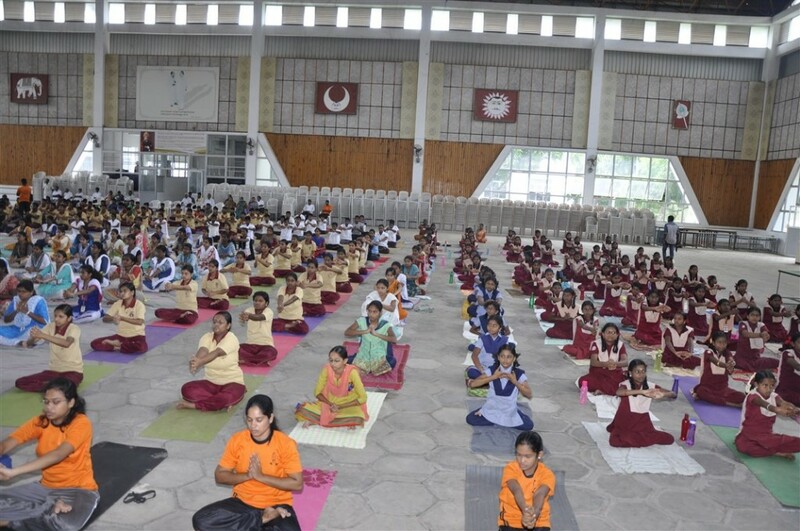 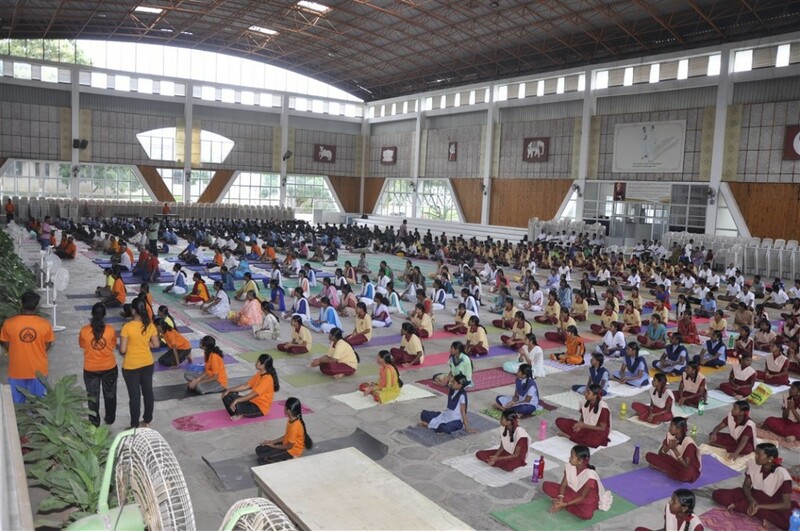 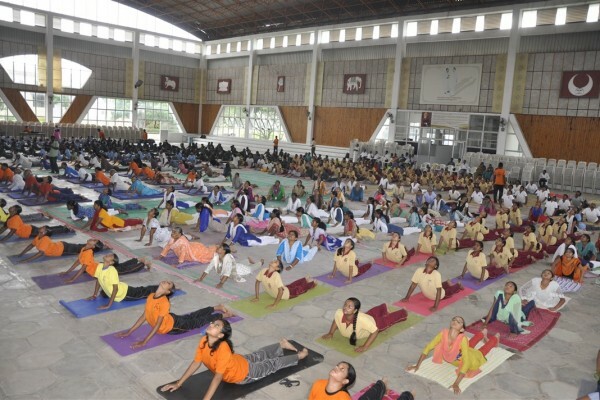 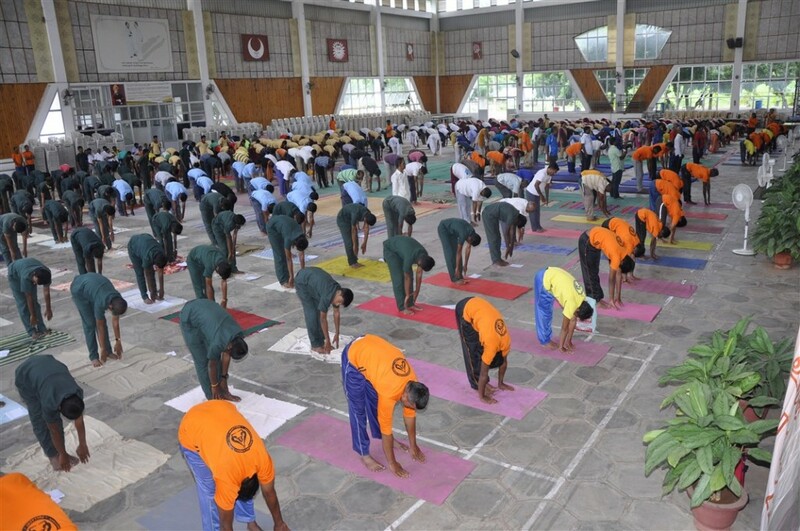 The 3rd international Yoga Day was observed in the college on 21 June 2017 from 6.30 am to 9 am., in which the students of the college, NSS and NCC student volunteers, faculty members, students from the sister institutions namely polytechnic and schools and volunteers from the public participated enthusiastically. The programme was inaugurated by Dr.C.Ramaswamy, Secretary of the college and other dignitaries felicitated. 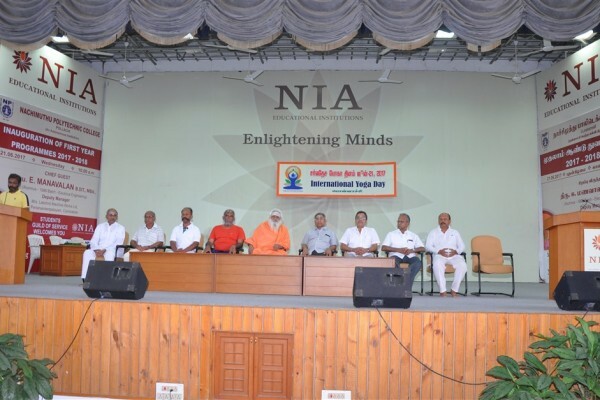 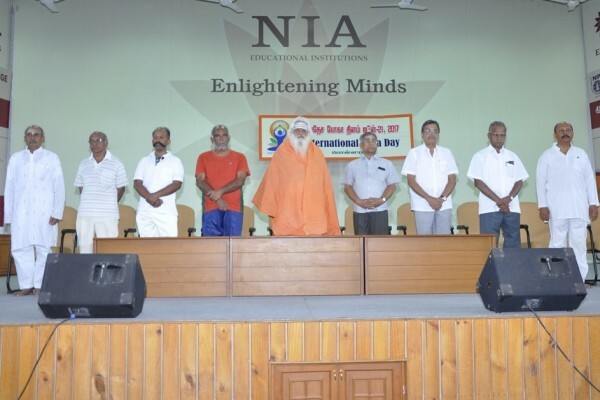 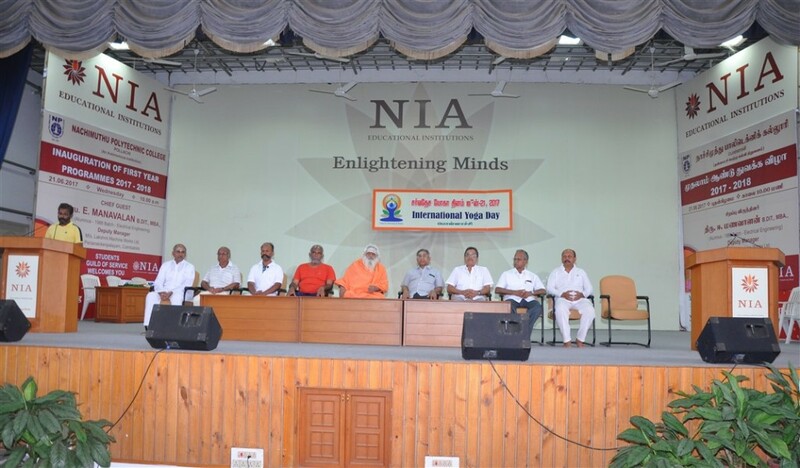 Swami Thathevananda Saraswathi spoke on the meaning and usefulness of Yoga to mankind. Yogachar Shri. 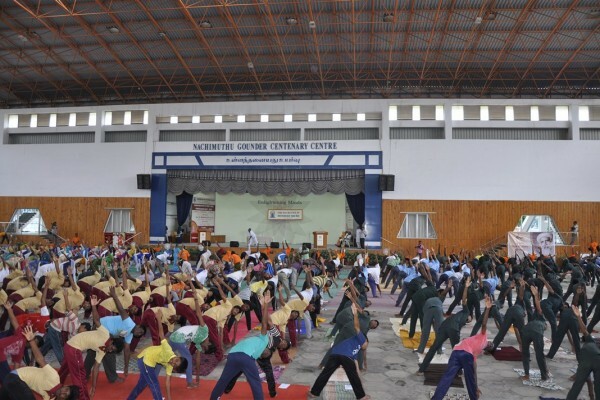 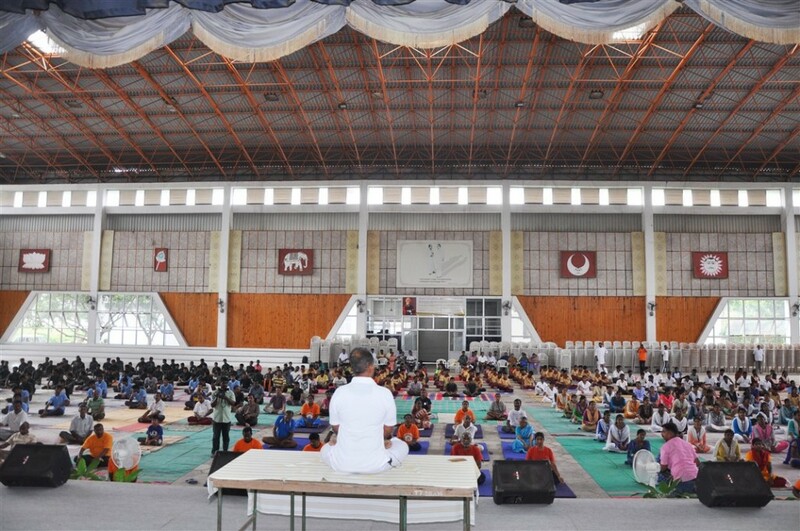 M.M.Rajan demonstrated the different yogasanas one by one explaining the benefit of each. 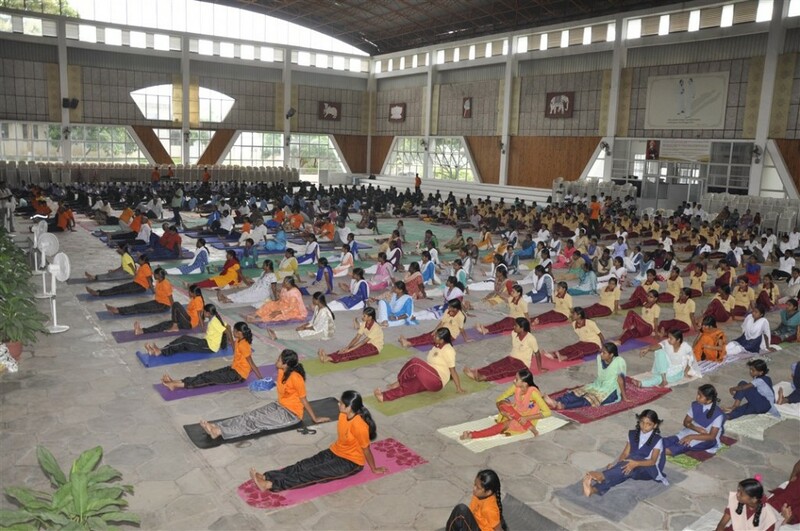 Following his instructions, the yogasana was done by the audience. He also explained the common yoga protocol of AYUSH. 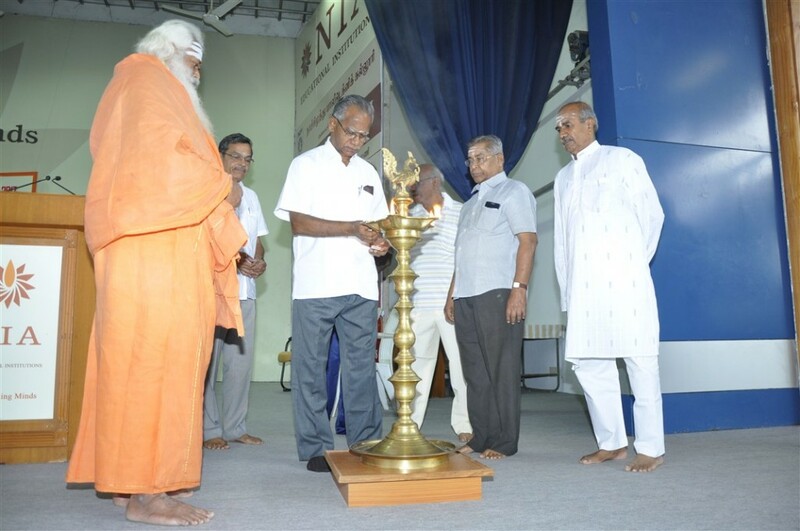 The programme was attended with great fervor by well over 400 participants of different generations.